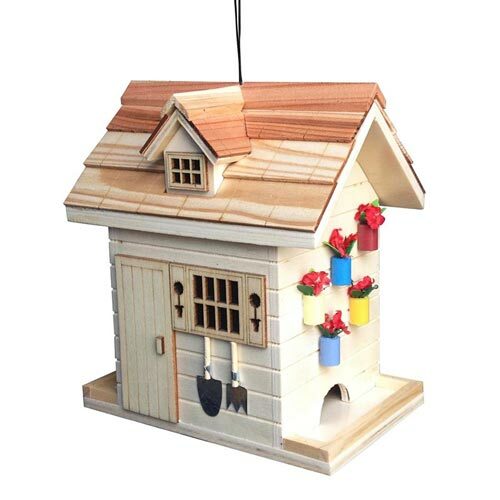 Attract backyard birds and add a touch of decor to your garden with this charming bird feeder. Designed to resemble a garden potting shed, it is highly detailed with potted plants, windows, garden tools and a trellis. It's functional too. The top slides up for easy filling, and the bird seed is dispended on two sides. Includes an easy-to-use wire hanger. 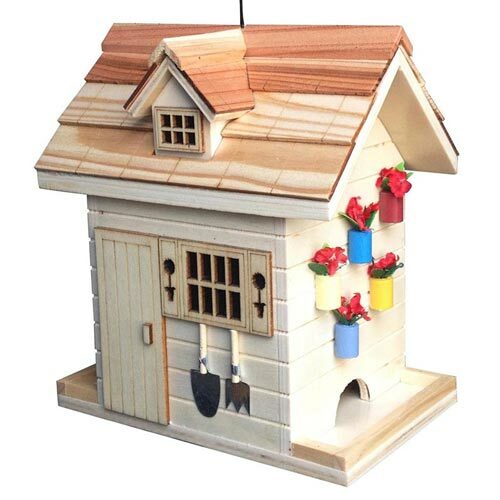 8"H x6"W x 7.5"L.
Bird feeders are a great way to attract songbirds and other birds to your yard and garden. Not only are birds entertaining, but many also eat insects.